This party is inspired by the Spike Lee film Summer of Sam, and it takes place at the intersection of disco, punk rock, and 70's serial killers. The polyester was tight, the headscarves were flowing, the dancers were slick and the rockers were gritty. From transforming your space on the cheap with stage tricks and found kitsch, to feeding your guests and keeping them dancing all night, we've got you covered. Click here for a playlist to get your groove on, and click here for a photo gallery of costume ideas. 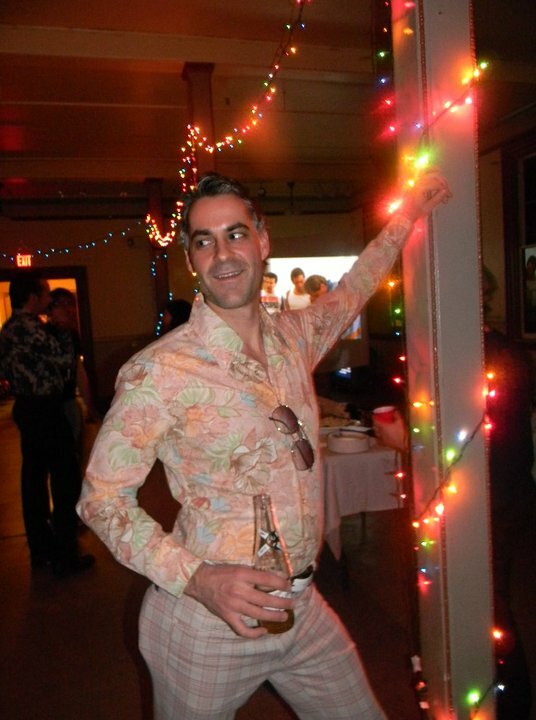 Now, there's nothing stopping you from throwing a 70's party in your home, and I encourage you to adapt these ideas to suit your space. But consider for a moment renting a venue for your party. It's not as crazy as it sounds. Personally, I'm fortunate enough to be a member of my local community theater, The Footlight Club, in Jamaica Plain, Massachusetts. One of the benefits of membership is a great discount on the rental for the space. But VFW halls and Masonic Lodges can be had for a fair price. Typically, I ask for a $5 donation at the door, which covers the cost of the hall, and then I provide all the food and drink. If this is still out of reach, consider having a combined birthday party with a few friends where you split the cost food and drink. Suddenly it's looking like a small price to pay for throwing the party of the century. 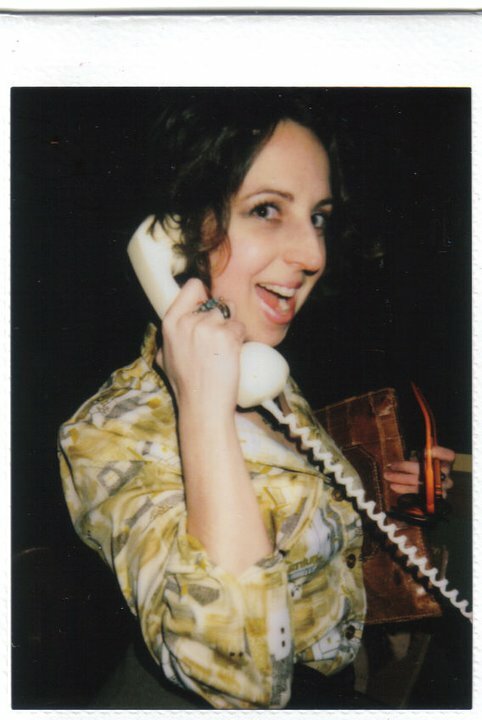 ﻿ In my article here I address the finer points of greeting your guests - including the kind of instant camera I swear by these days. When I threw this party, I had come into a little bit of money and my one splurge was hiring a recent photography grad to be my official party photographer. She snapped pictures of each guest and created a photo album so amazing that it might be the one thing I'd grab if my house caught fire. In leaner years, instead of hiring someone I've asked my close friends to pitch in and help me out by manning the front door. 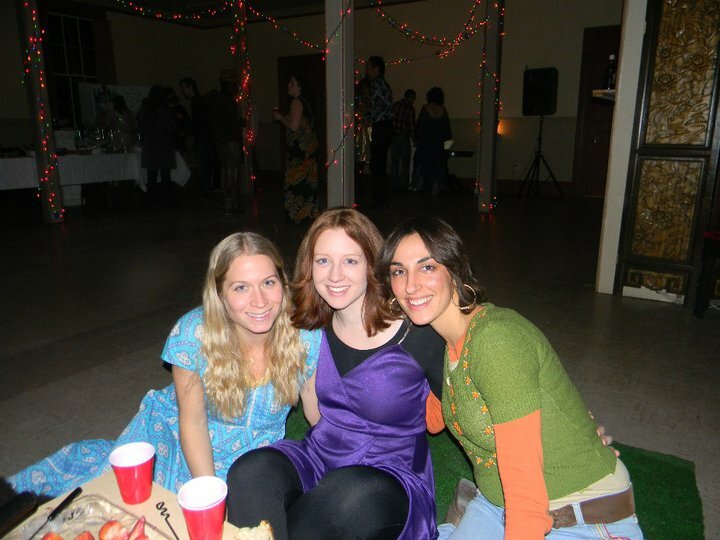 I would assign teams of 3 friends who know each other, and ask them to just take one 30-minute shift and hang out in the entry hall instead of on the dance floor. 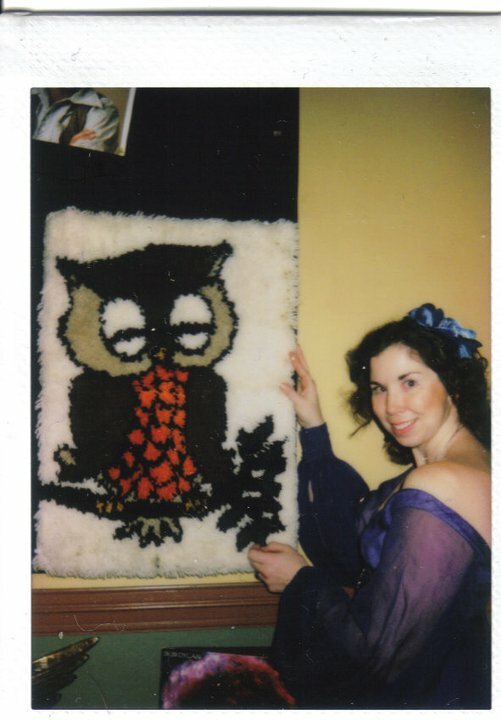 One person takes coats, one person snaps a polaroid, and one person takes your donation and gives you a hand stamp - for Summer of Sam, I chose a great stylized owl stamper. up in a ton of pix. ﻿ I am a huge fan of giving guests props to pose with - one small detail can set the scene. For months before this party, I collected items that would make excellent props; obselete technology from my parents' house, 1/2 price outdated calendars with 70's movie posters I could tack on the wall, a toy gun from a costume shop - this is a serial killer party, after all - and for about $3 I was able to pick up some iconic record albums at my local secondhand store. Picture a big square room with not much in it - this is your canvas (and conveniently, the layout of most Masonic halls). Now divide this room into long thirds. The center third of the room is the dance floor - which in this case, is conveniently marked off with support columns. This leaves two thirds of the room to create little nooks and different hangout spaces. 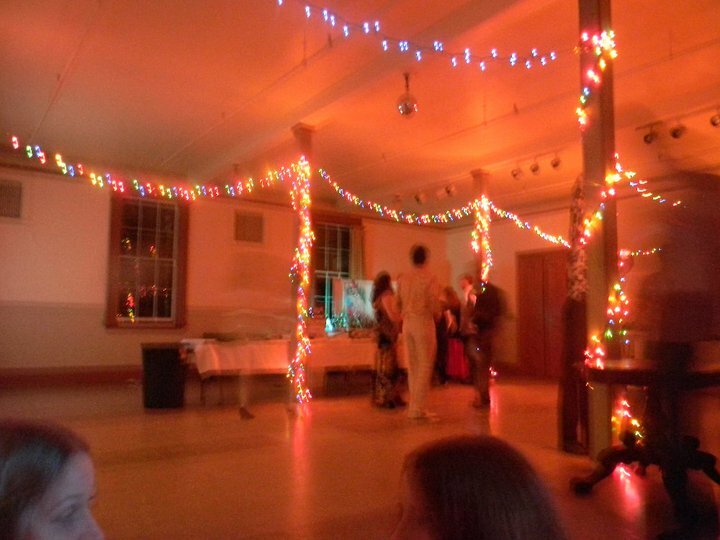 For a dance party, I swear by fairy lights - easy to put up, and instantly mood-setting. Some dear friends helped me out by stringing a multitude of lights around the columns on the dance floor. However, fairy lights alone wouldn't cut it in such a large space. So I bought one lava lamp and borrowed two more from friends - these gently illuminated one corner where we served fondue. And for the important work happening at the bar area, I used a clip-on adjustable light, and set up another incidental lamp with a charmingly decrepid shade. 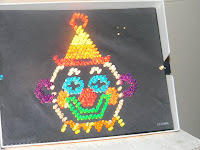 And since the '70's were the era of John Wayne Gacy, I couldn't resist setting up an evil clown lite brite as a marquee on the dance floor. To the right of the door I set up a fondue station. Every hour or so, we'd melt a new batch of deliciousness and set out a new set of dippers. Fondue, forks and friends, salvaged carpet square, coffee table. It turned into a great spot to sit and nosh and watch the world go by. For our dance party, a great friend who's in a band loaned me some speakers that could dock to my iPod or computer. DJ services could easily double the cost of your venue, so if you can't beg or borrow a proper sound system, you can make do with a decent boom box cranked up. I am also fortunate enough to know someone willing to trust me with his movie projector, and so I put it to good use. To the left of the door, I created a little pod. I set up a few couches and armchairs that were hanging around the theater, creating a long, narrow living room along the wall. At the far end of this "room," I set up a TV, screening movies like Boogie Nights on mute. From the ceiling I hung a crisply ironed, white sheet, as a wall between this pod and the rest of the room. I then projected additional movies silently onto the sheet. 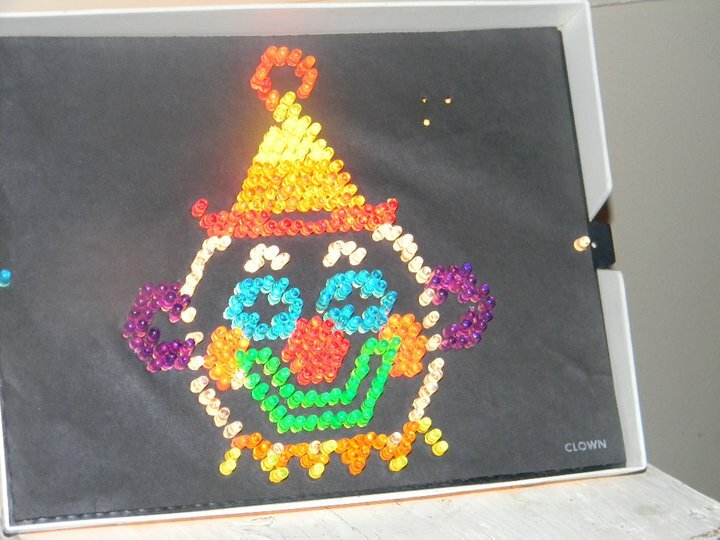 The beauty of this technique is that you can see the movie on *both* sides of the sheet. You can watch Saturday Night Fever, Almost Famous and Summer of Sam on couches secluded in the pod, or you can see them from the dance floor, where they seem like an arty video installation. Guess what? Movie projectors are crazy expensive. So my top priority was to protect this equipment, while balancing it on a little gallery post in the middle of the floor. Simple solution: arrange the buffet tables in a U around the projector. The food I chose was all prepared well in advance. The mac & cheese and pigs in blankets can be popped in the oven with very little fuss and the bread can be tossed in a the same time to be warmed. 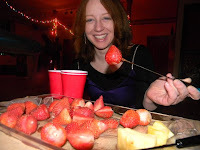 I did ask my cousin to help me out by melting fondue for me once an hour, but I had prepared tupperware containers with the fondue ingredients, and separate containers with pre-cut fruit and bread cubes so it was super-easy to melt and serve. I wanted to make the bar extra special and so I talked to my friend Kristen Bonstein about a project I thought would be right up her alley: Designing a serial killer tryptich that would rest behind the bar. 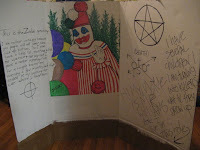 She did an incredible job of displaying the madness of John Wayne Gacy, David Berkowitz and the Zodiac killer, and the effect was chilling. This punch is a refreshing blast from the past and is quick to make. In a punch bowl, combine two 46 Oz. cans of Hawaiian punch, a cup of sugar, 4 cups of orange juice, and a 2-Liter bottle of chilled Sprite, and stir to combine and dissolve sugar. Float a 1/2 gallon of rainbow sherbet on top.